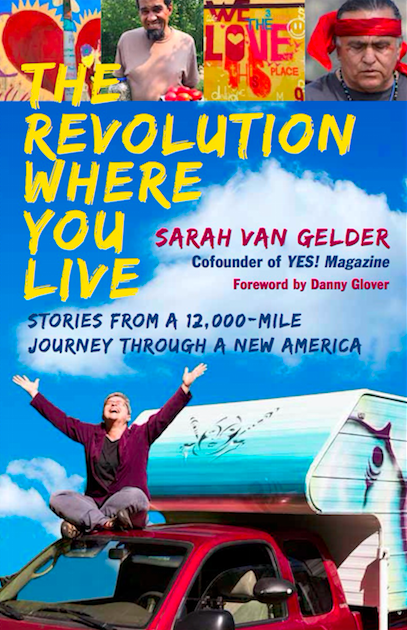 You’ve reached the website for Sarah van Gelder’s new book, The Revolution Where You Live: Stories from the 12,000 Mile Journey Through a New America. News of my book tour. Information about The Revolution Where You Live and how to order it. Some background on me, Sarah van Gelder, the author of the book and cofounder of YES! Magazine, and how to contact me. New blog posts with recent stories of the revolution where you live. News about PeoplesHub — an online school inspired by this book.